A Facebook friend recently shared an image with instructions on how to complete a sun salutation that I wanted to share. Sun salutation is a great way to begin you practice or, when repeated, can be a simple practice on its own. When I am short on time or can’t make it to class I love to do 5-10 sun salutations. 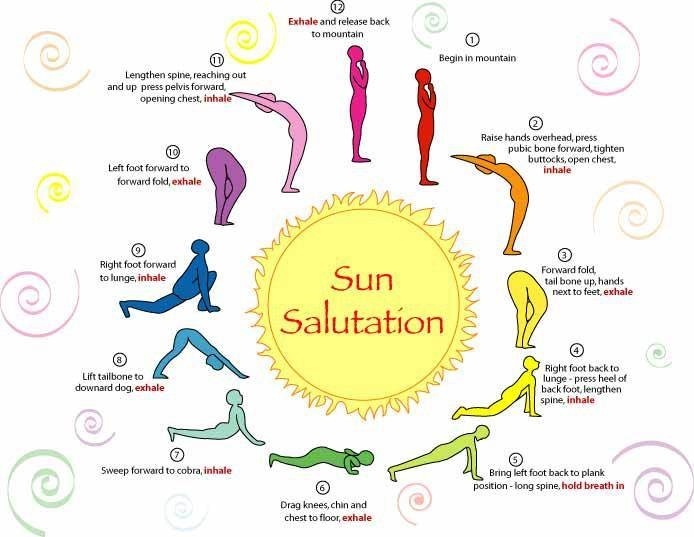 The series below is sun salutation A. Learn more about sun salutation here.